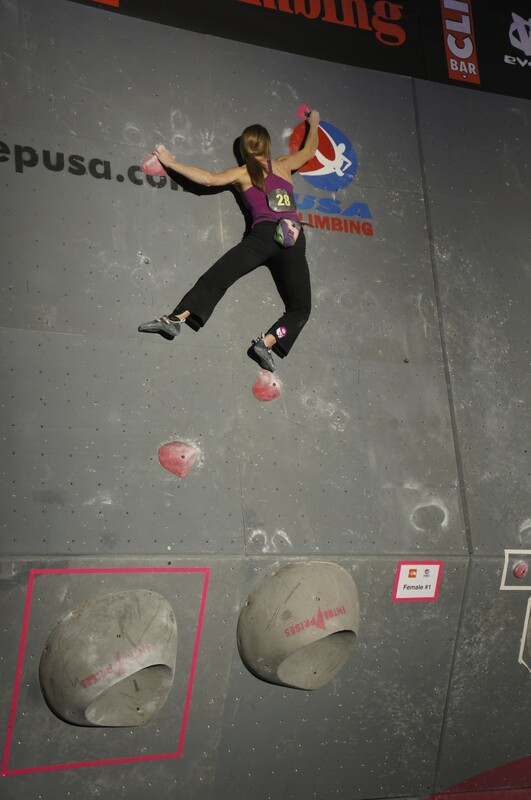 Angie Payne began climbing indoors at the age of eleven in her hometown of Cincinnati, Ohio. After five years of participation in junior sport climbing competitions, Payne shifted her focus to bouldering. In 2003, after moving west to attend the University of Colorado, Payne put her plastic pulling skills to work to win three American Bouldering Series National Championships. 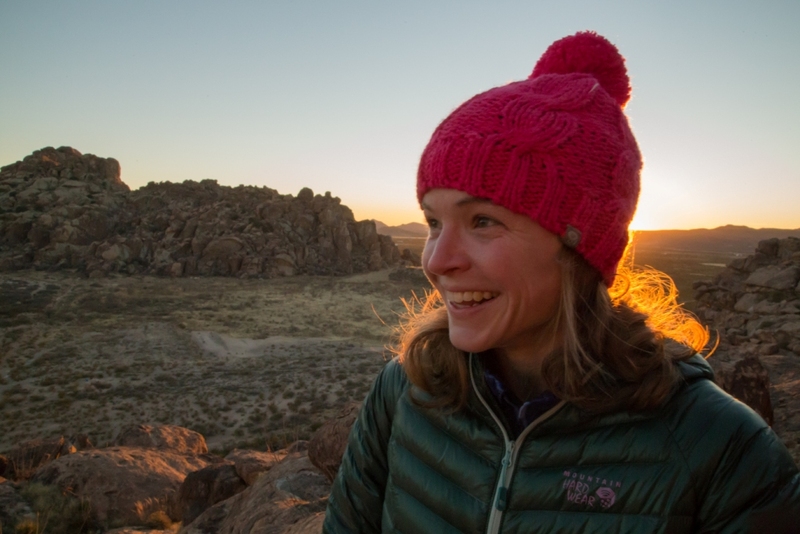 Her involvement in competitive bouldering continued over the next ten years, and Payne added more than twenty podium finishes to her competitive bouldering resume. 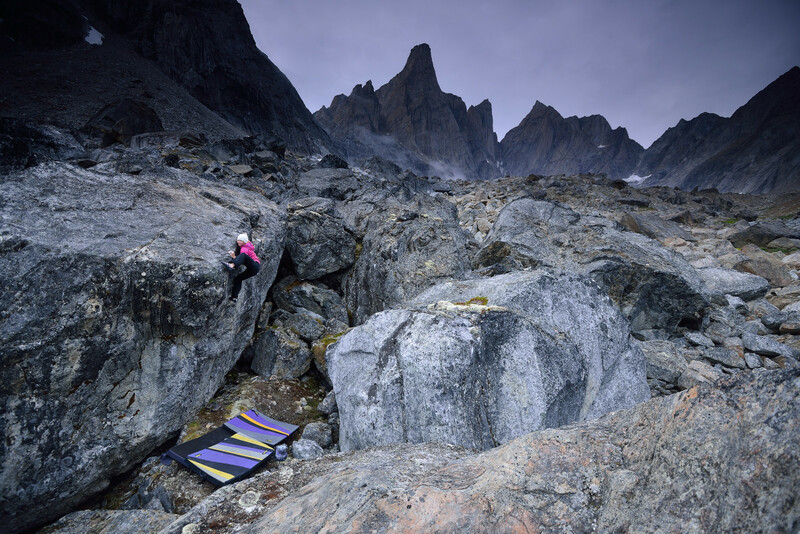 Her success goes beyond the walls of the climbing gym as well, and Angie has accomplished numerous notable outdoor ascents. Between 2004 and 2014, Payne completed first female ascents of 30 boulder problems V9-V13. 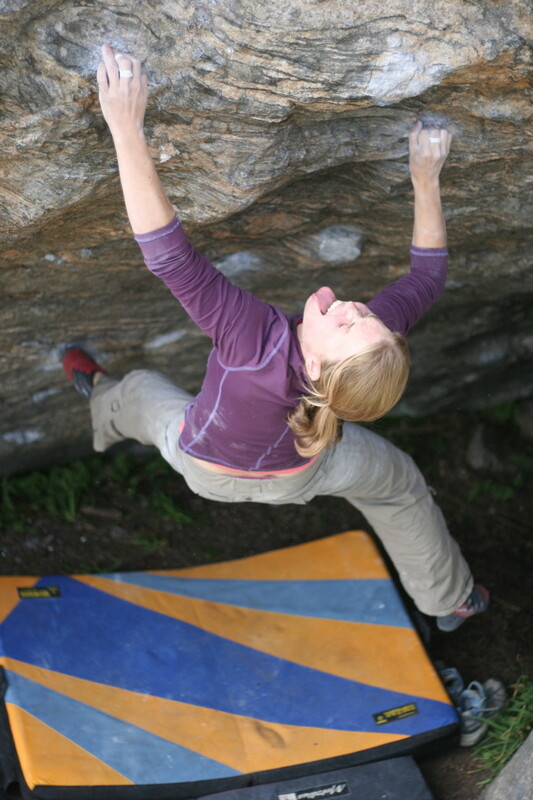 In 2010, Payne completed The Automator and became the first woman in the world to climb a confirmed V13. Over the course of 19 years in the sport, Angie has climbed in many popular areas around the world as well as more remote locations like Greenland and The Marquesas Islands. Boulder, Colorado is Angie’s current home base. In general, I strive to push myself further than I think I can go and never settle for mediocrity. As far as specific climbing goals go, I’d like to get stronger and climb V14. One of the things I am most known for in the climbing world is being the first woman to climb a boulder problem confirmed at the V13 rating. However, my greatest personal achievement was probably finishing a boulder problem called Freaks of the Industry (also V13), that took me 4 seasons to complete. Finally winning that mental battle was incredibly difficult and rewarding. It probably goes without saying that climbing is physically difficult (after all, you are hauling your body up rocks). However, the mental aspect is equally challenging, and sometimes more. 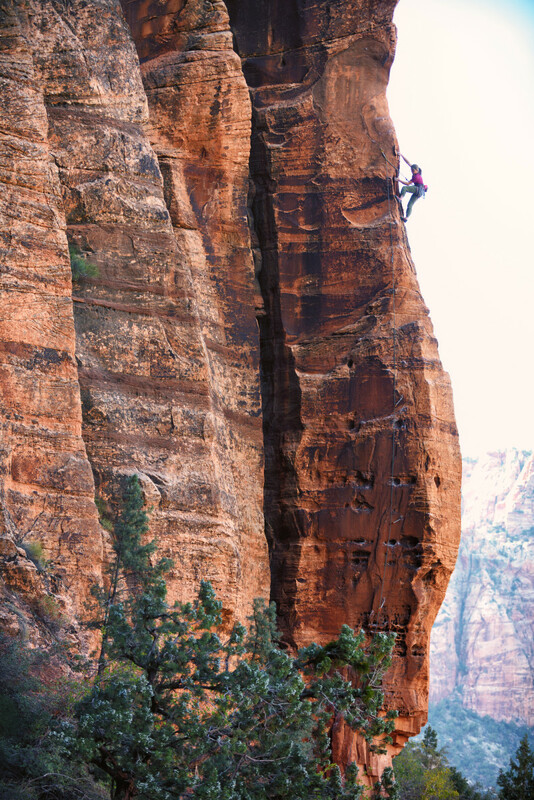 Like many sports, fear of failure can be a real limiting factor in climbing. At the same time, there are inherent dangers in our sport, so you have to know when to draw the line and walk away, so as not to risk your life. I feel satisfied when I know that I have done everything possible to prepare for a competition or boulder problem and then I give every bit of effort I have when the time comes to perform. Although I do enjoy “success” in the traditional sense of the word, I also get a lot of satisfaction from the process of working towards a goal, whether that is doing well in a competition or climbing a particular boulder problem. Failure is a big part of that process, but even that can be incredibly rewarding if I know I’ve tried my hardest. I spend a good deal of time climbing in the gym to prepare for competitions, get fit for climbing outside, or just for the sake of enjoying the movement of climbing. There are many gyms here in Boulder, Colorado, but the two that I spend the most time at are CATS (Colorado Athletic Training School) and Movement Climbing & Fitness. I also spend time climbing outside around Colorado, especially in the summer. 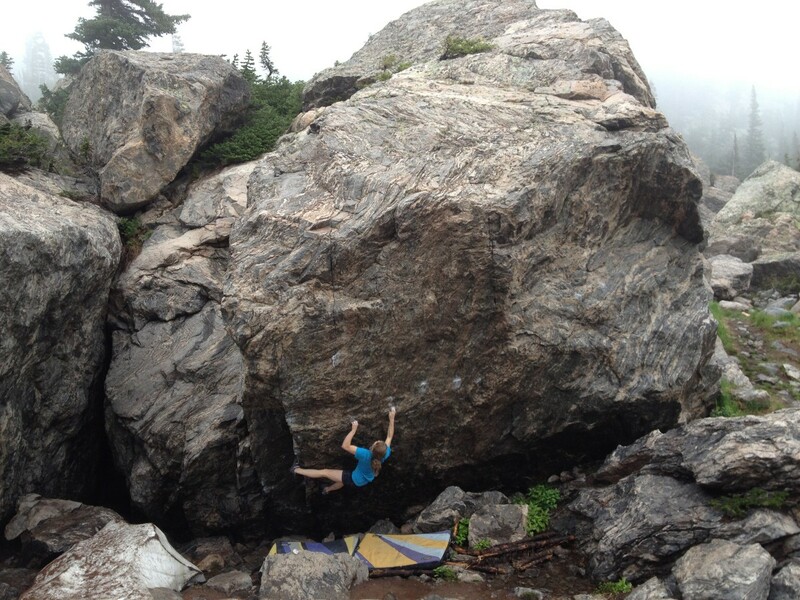 There are some great bouldering areas nearby, including Rocky Mountain National Park and Mt. Evans. It depends on what I’m preparing for. If I have a competition coming up, I will focus on gaining more power and power endurance by climbing in the gym a lot. More importantly though, I try to focus on improving my mental game by practicing onsighting boulder problems and giving a full effort every attempt. While physical strength is definitely important, I think that focusing on my mental game recently has been very helpful. Going into a competition, it’s not usually the actual boulder problems that make me the most nervous, but rather the mental aspects of the competition. While sometimes I do encounter moves that I can’t figure out or may lack the proper strength to complete, it’s my mind that typically stands in the way of success more often than particular moves. If I can keep a positive attitude and not let small mistakes get on my nerves, I find that I can bounce back more easily from what at first seems like “failure” during a competition. So, typically I get most nervous about not being able to keep the proper mindset during a round of competition. My parents are probably my biggest fans. They have been incredibly supportive and I wouldn’t be where I am or have the opportunity to live the life I do without them. They keep track of what I’m up to in climbing, and my mom even sends me flowers or a card when I accomplish a goal. Someone once told me to decide what my priorities are and then everything else will fall into place. It’s incredibly simple and maybe cliché, but I come back to that advice often when trying to make decisions. In the immediate future, I have a few short trips planned to give clinics and slideshows in various locations around the US. For the more distant future, I’m not quite sure what that will look like. I do know, however, that climbing will be a part of it! Remember that climbing is hard, and “failure” is a big part of the experience. Even when you do accomplish success, there will always be something harder to try. Learn to enjoy the process of all of it, and you will likely have a more rewarding experience in climbing.